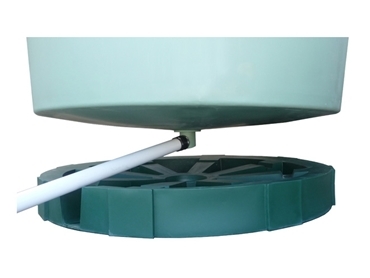 Aquaculture tanks from Polymaster come in a range of different sizes and feature a number of exclusive features. These aquaculture tanks have purpose built all poly bases with a sloping bottom. Sumps are moulded in one piece with the tank and an easy pipe fit outlet is the sumps outlet. The tanks have excellent height for efficient fish handling and an optional poly water level controller can fit under the top lip of the tank. Inside the tanks there is no pipe work so fish are never damaged. The option of a poly riser screen is available for the aquaculture tanks also. These 300mm in length polyethylene screens are designed for safety for fish as they contain no sharp edges.